Wedding season is just around the corner, which means all you newly-engaged couples are in the throes of wedding planning. 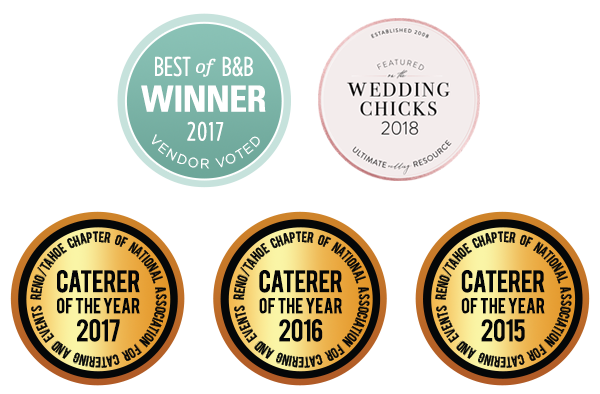 As long-time Tahoe wedding caterers, we’ve catered many celebrations of love, and we’ve seen what works and what doesn’t when it comes to Tahoe weddings (In fact, we just won best Lake Tahoe Caterers of 2017!) 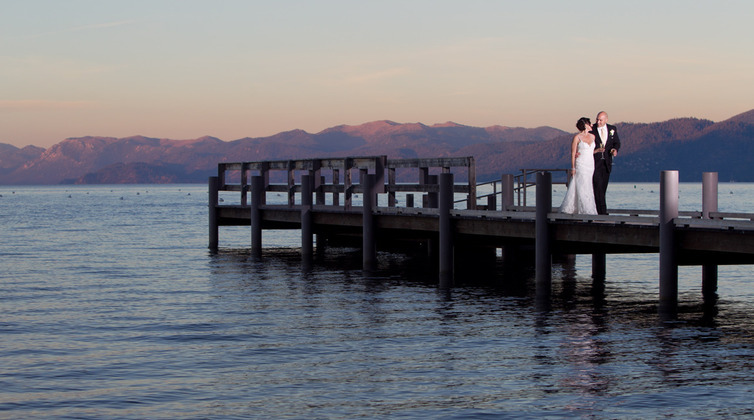 If you are planning to tie the knot in Tahoe, keep these things in mind for the big day. Plan Your Wedding For The Off-Season. Avoid all the traffic, tourists and absurdly high prices that come with Tahoe’s busy season. While you might be willing to pay extra for a venue during the busy season, it’s important to remember that all vendors can be overbooked during this time–that means stylists, caterers, photographers, bands/DJs and more. Right now the off-season times are mid-to-late September and late May to early June. Odds are, the weather will be just as beautiful as the busy season, and the local vibe is just better when Tahoe isn’t flooded with out-of-towners. While we’re on the subject, consider the time and day of the week you’d like to hold your wedding, too. Weekends and evenings tend to be pricier, so opt for an afternoon or weekday event if it’ll work for you and your guest list. Prioritize Your Vendors. Are you dead set on having fairytale photos of your wedding? Do you need the most sought out DJ of the year? Or maybe you’re a foodie and are looking to serve an extravagant hors d’oeuvres spread. Know what tops your priority list so you can budget the most for the best Lake Tahoe Caterer, DJ or photographer well in advance. If you are from out of town, connect with Tahoe vendors early so you can lay out plans that may require you to travel, arrange phone meetings, ship samples, etc. Make Food The Main Focus. Sure, we’ve dedicated our life to catering, so it’s clear we believe food is at the heart of celebration, and so it’s worth prioritizing for your wedding. No matter the budget, food is always the most remembered part of a wedding (you’ve been to a wedding, what do you remember?). We’ve been to many weddings where the decorations were gorgeous, but the food was clearly an afterthought (or the other way around). Show your guests their presence is truly appreciated with a delicious menu. Not sure where to start? Focus your menu around the theme. If you’re hosting a casual event with a couple hundred friends and loved ones, maybe try a food truck or interactive appetizer-and-cocktail stations. If you’re opting for an intimate gathering to celebrate your love, a multi-course, sit-down dinner is always welcomed. Still looking for a caterer? Book Blend today and together we’ll re-dream what wedding catering can be!